ขนาด : 45 x 35 ซม. Size : 45 x 35 cm. The invention of couples which are in agreement ready to build their life together with full precepts. 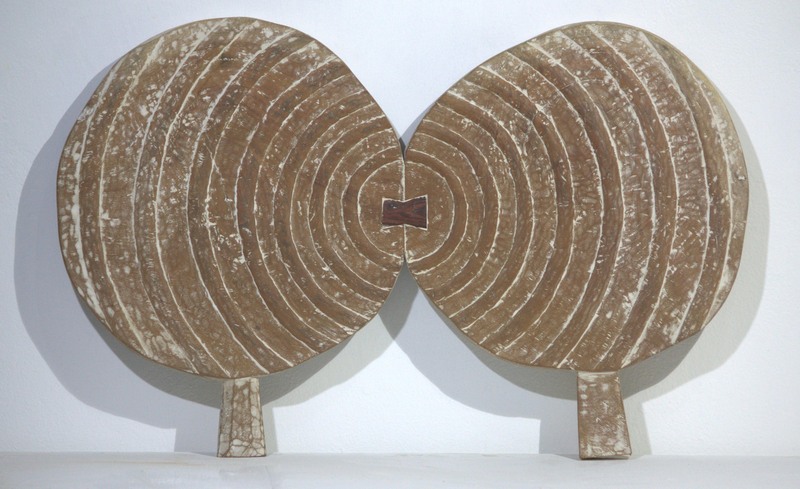 Creating 2 dimensional carved wood pieces in two shapes mounted using household objects representing a bind between family .